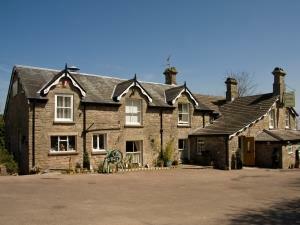 The Inn at Penallt01600 772765work RestaurantThe Inn at Penallt is a 17th Century traditional country Inn located in the Wye Valley with spectacular views of the Forest of Dean. The Inn was acquired by Chris & Bronwyn Boston along with their 9-year-old daughter, Georgia mid-January 2016 after they realised that the Inn was an exceptional destination venue. The Inn had already secured a fantastic reputation as a ‘foodie retreat’ however Chris and Bronwyn see huge potential to build on and expand the Inn’s offerings. Lyall Brown provides a fresh new approach to the Inns a la carte menu, set lunch menus, light snacks and bespoke vegan/vegetarian menu’s whilst focusing and supporting local farmers who rear rare pedigree British beef and pork, as well other local producers such as artisan bread suppliers. Chris & Bronwyn have strong beliefs in paying a little more for quality produce from local producers. In addition to this, Chris is developing the Inns kitchen garden and in collaboration with the Gwent Wildlife Trust, there will be future direct access for guests to the Trusts summer wild flower meadows. Bronwyn is also working with the non-profit organisation ‘Art in Penallt’ to show case work from leading local artists at the Inn. The bar has a relaxed atmosphere with a wood burning open fire, a cosy restaurant and a well-balanced wine list of over 75 options including white and sparkling wines from local Monmouthshire vineyards. The Inn welcomes walkers, cyclists and classic car and bike enthusiasts and also have dedicated dog friendly accommodation and bar.